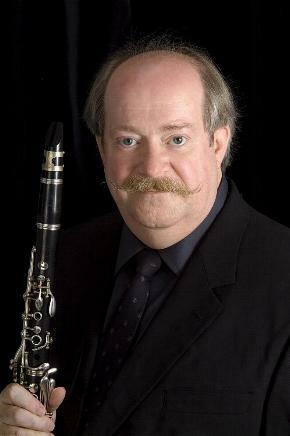 William Blayney is highly regarded as a soloist, clinician, and clarinet pedagogue. His wide range of experience extends from playing with the Atlanta and Seattle Symphonies, opera and ballet companies in New York, Baltimore, Atlanta, and Seattle, to playing First Clarinet on Broadway and on movie soundtracks such as Die Hard III. He is on many of the SSO’s CDs including the premiere recording of David Diamond’s 11th Symphony on which he plays First Clarinet. Upon receipt of his Bachelor of Music Degree in Clarinet Performance from the Peabody Conservatory, he was invited to teach in their Preparatory Department. While in Baltimore he also taught at the Baltimore High School for the Performing Arts and the University of Maryland (UMBC). Known also for his interest in and knowledge of historical clarinetists and their recorded legacy, he is preparing a series of historical recordings of Great Clarinetists of the 20th Century. Mr. Blayney’s three clarinet teachers were all noted for their beauty of sound and expressive musicality. They were his father, Donald R. Blayney, Ignatius Gennusa, and David Weber.